A veteran media practitioner believes that the common smartphone, and its more than common capabilities, may cause trouble in the 13th General Election (GE-13), if authorities are not prepared for it. “This coming election may not be as smooth if the people involved in the process do not pay attention to the power of the smartphone,” said blogger and veteran editor A Kadir Jasin at a forum on the changing landscape of media in the face of the upcoming general election in Kuala Lumpur today. “In GE-13 things can be complicated and go wrong if you don’t preempt. Unless you can ban the smartphone, there may be problems,” he argued. Kadir said that this is because all sorts of rumours, chit-chat and false news can be conveniently spread on the devices which can lead to low voter turnouts or crisis situations. He warned that a single picture of an alleged unverified incident somewhere going viral through smartphones may cause untold problems at the thousands of voting centres nationwide. His views of the ascendancy of smartphones were shared by fellow forum panellist and The Star Executive Editor Wong Sai Wan, though with a different tack. Instead of believing that smartphones are key to chaos, Wong said that they are the kingmakers of GE-13 which he argued will not be won by issues or debates but by a single picture of a political personality doing something controversial. “Much like the photo of Tengku Razaleigh Hamzah which cost Semangat 46 quite a few votes,” recounted the senior journalist. 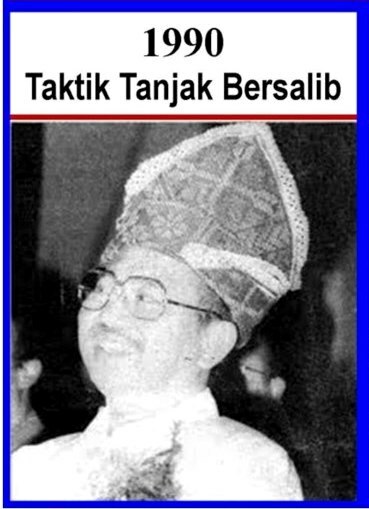 The 1990 photos of Razaleigh, popularly known as Ku Li, allegedly wearing a headdress with a the Christian cross on it caused a stir in Malaysian politics and brought down his hopes of victory in that year’s general election. In GE13, either side may use this method and use the smartphones’ instantaneous means of information transfer to great effect, said Wong. The viral nature of smartphone information transfer and its possible use to stir chaos or win elections, whether in a dirty way or not, is supported by findings made by the third member of the forum panel, Universiti Islam Antarabangsa (UIA) journalism doyen Syed Arabi Idid. During his speech, Syed Arabi said that information is spread more effectively via handphones rather than through newspapers or even radio and television. He cited a case on the passing away of a prominent personality, when he said that most people found out about it almost immediately from handphone calls and word-of-mouth. 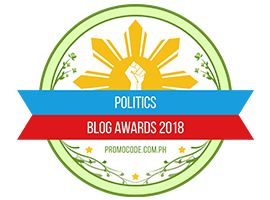 The almost instantaneous speed of information transfer available via gadgets in the numerous hands of the public has led to a sea-change in politics and campaigning, as instead of controlling its flow, even governments are at the mercy of social media and handphone-wielding members of the public. Experts stress that information now is no longer for mass distribution but for individual consumption. Posted in civil society issues, Democracy, Elections, History, Human Rights, Politics. A former ISA detainee has claimed she and her group had helped process “thousands of identity cards” for Sabah illegal immigrants in the early 1990s to help topple the PBS state government. Sixty-three-year-old Siti Aminah Mahmud (right) was detained under ISA in 1995 for two years for her alleged involvement in the IC project. Speaking at a press conference in Petaling Jaya today, she described how she had been tasked with collecting information for the illegal immigrants’ IC application and handing the issued ICs to village chiefs throughout Sabah, to be issued to foreigners who were mostly Indonesians and Filipinos. Siti Aminah said she had been instructed to facilitate the issuance of ICs for the foreigners as part of a plan to help UMNO take over Sabah.“It was in the early 1990s, I was told to help UMNO to contest in Sabah and defeat PBS by conducting Project IC in Sabah. “There were five tasks for me – helping to campaign, increasing Malay voters, locating villagers in rural areas especially those who have no IC at the border of Sabah-Indonesia, and ensuring the victory of UMNO in toppling PBS,” she said at the press conference, where PKR Wanita Chief Zuraida Kamaruddin was also present. Originally from Sabah and residing in Skudai, Johor, Siti Aminah was a member of Johor Baru UMNO then and was asked by her cousin, who was also an UMNO member, to help the party in Sabah. She was continuously involved in the covert operation from 1990 to 1994, before she was detained under the ISA in 1995 over the operation. 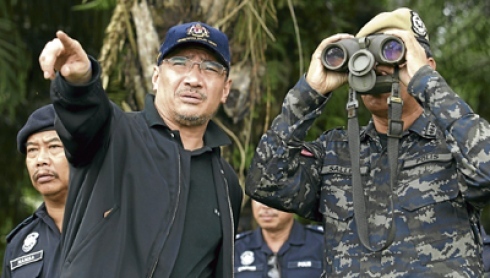 Siti Aminah claimed the instruction was from the late Sabah UMNO chief Datu Mustapha Datu Harun, who allegedly told her that the project was led by the then Prime Minister Dr Mahathir Mohamad and executed by the Deputy Home Minister Megai Junid Megat Ayub and Mahathir’s Political Secretary Aziz Shamsuddin. “I knew about it because Datu Mustapha told us not to be afraid about getting arrested. He said this is Mahathir’s and Megat Junid’s project, and he said if he helps UMNO to win, he would be appointed as state governor. 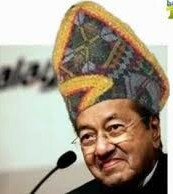 He said so during a mass briefing at the UMNO office in Sembulan, Kota Kinabalu in the early 1990s,” she claimed. Elaborating on the operation, Siti Aminah said the related documents were prepared within a month after the forms were processed. “We gave out the forms and later handed them over over to the National Registration Department (NRD) and the UMNO office in Sembulan. After that, we just distributed the completed ICs to Village chiefs.I don’t know (the village chiefs). We went in a group of five. One recorded (the details), one collected fingerprints, and I sometimes arranged forms. 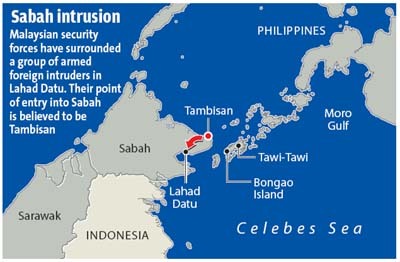 I went to Sabah twice a week.We found a village, we gathered several people without ICs. The motive was indeed (to give them ICs),” she explained. Among others, the IC were given to a group of Indonesians in a Felda area in Sandakan, she claimed. Siti Aminah claimed that those ICs can be identified by the special code printed on the back of the ICs. From 1990 to early 1995, when Mahathir was Prime Minister, the average number of ICs given to Filipinos and Indonesians was nothing less than half a million, according to her estimation. Some 100 persons in her team were individuals who were not working with NRD. They also told the Village chiefs who collected the ICs from them to help inform those IC holders to vote for UMNO. She did not know whether the Village chiefs had received any money, but she and her team received no pay except a transport allowance. Although not summoned to testify in the ongoing public hearing of the royal commission of inquiry on the Sabah immigrants issue, Siti Aminah hoped she will be given the opportunity to tell her story to the Royal Commission. Posted in civil society issues, Democracy, Elections, Governance, History, Human Rights, Justice, Politics, Religion, Security. Sixty British investors through Fiscal Capital Sdn Bhd have filed a RM12 million suit against a firm owned by former UMNO Treasurer Abdul Azim Mohd Zabidi for cheating, deceit and forging documents in the purchase of six telecommunication switches. The investors had approached the Chambers of Kamarul Hisham and Hasnal Rezua and had filed the suit on February 20 at the Kuala Lumpur High Court. Ampang MP Zuraida Kamaruddin, in a press conference today, said the investors had lodged a police report on October 5, 2011, but they complained that action had been slow. She claimed that they only started investigations last month. Zuraida said the matter had been brought to the attention of Prime Minister Najib Abdul Razak and also Deputy International Trade and Industry Minister Mukhriz Mahathir while they were in the United Kingdom, but there had been no progress. Lawyer Kamarul Hisham Kamaruddin said the matter has been fixed for case management on March 21. He, along with partner Hasnal Rezua Merican, said the Police have sent the case to the Attorney-General’s Chambers but he got to know that the A-G had returned the papers to the Police. “We cannot understand the slowness of the authorities’ action despite a police report having been lodged more than a year ago. Following this, our clients have asked us to come out to exert pressure,” he said. The investors, through Fiscal City Sdn Bhd, named Doxport Technology (M) Sdn Bhd, and its directors Abdul Azim (left), Gurmeet Kaur and Sivalingam Techinamoorthy as defendants. Abdul Azim is also the chairperson of Doxport Technology. The victims had also complained to British politicians including Lord Ahmed of Rotherham, who will bring this matter up at the House of Lords next month. Lord Ahmed, who was not present, said in a statement that a number of British MPs have been aware of the background to this unsettling case for several years, where British citizens and investors have made serious allegations involving misappropriation of funds. “I have personally raised this issue with senior members of the Malaysian government. As the investors have stated to me, their demand is non-malicious and plain. They are seeking natural justice to take its course and any alleged perpetrators brought to book,” he said. “I appeal to the executive and its representatives to continue to support and facilitate the due process, which is in the interest of Malaysia’s international reputation as a reliable hub for inward investment and trade,” he said. According to Hasnal, the investors had invested US$4 million (RM12 million) since 2008, to purchase the switches and have a stake in Doxport Technology. The plaintiffs claimed that they had paid RM6.9 million for the purchase of the switches and another RM5.8 million to purchase the stake. The six switches were then purchased and placed in Phnom Penh, Hanoi, Saigon, Singapore, Manila and Hong Kong. They claimed that since the switches were in operation it had generated revenue and that the investors should have received the return for their investments, for helping purchase the switches. The investors claimed Doxport Technology had made false representations, based on fraudulent documents. They approached Lord Ahmed and also the British High Commission over Doxport’s failed business. The plaintiffs further claimed that the defendants had made a misrepresentation to them resulting in them to suffer further economic losses. Hence, the defendants are seeking RM6.9 million which they had fork out to purchase the switches and another RM5.8 million for the stake in the company along with general, aggravated and exemplary damages. Posted in business, Corruption, Finance, Language, Legal Suit, Politics. COMMENT: The upcoming 13th general election will be a much-anticipated, most exciting and nail-biting election in the country’s history. Speculation on the election date has gone on for almost one year. The options for the election timing is getting shorter. It is expected that the GE will be held on April 14 or 21. There are 222 parliamentary seats in the country, of which about 150 are Malay–Bumiputera seats, 30 mixed seats and 42 Chinese-majority seats. In the 2008 elections, BN won 140 seats and the Opposition won 82 seats. A further breakdown shows that UMNO won 79 seats, MCA 15 seats, MIC three and Gerakan two, PKR won 31 seats, DAP 28 seats and PAS 23 seats. From our analysis, it is becoming quite clear that the rural population has largely returned to BN, in particular rural Malays has largely shifted back to UMNO. In this regard, UMNO is expected to win more seats than in 2008. It is likely that UMNO may win 85 to 90 parliamentary seats, up from their existing 79 seats. There is also a clear trend that Indian voters in rural and semi urban areas have also shifted back to BN. However, the urban voters are largely still with Pakatan Rakyat. Even though urban Malay voters may support Pakatan and even if more urban Malays were to support Pakatan in the urban seats, it will not increase seats for Pakatan as these urban seats are already held by DAP. However, the urban voters are still very much with the opposition in particular. The urban Chinese are very strongly supporting the DAP. As high as 85 percent of urban Chinese may vote for the DAP. This will increase the DAP’s numbers of seats won to 35-40 seats, up from the 28 seats DAP won in 2008, making DAP the biggest Opposition party in Pakatan. The Prime Minister’s hope is that his various outreach programmes to the Chinese community can win over some of the undecided Chinese voters but that is still a difficult challenge. Most of the Chinese seems to have made up their mind. Some older Chinese and the Chinese business community may want to give Najib Abdul Razak a chance. They value peace, stability and prosperity and like Najib’s engaging style, like his presence at the Dong Zong Chinese New Year open house. In a recent roundtable and study on the main concerns of the Chinese community organised by ASLI’s Centre for Public Policy Studies, it was determined that the main issues of concern to the Chinese community are crime and corruption, education, cost of living, fairness and justice, cultural and religious issues, lack of civil service participation and lack of meritocracy. These have caused frustrations among the Chinese voters. 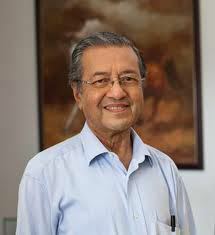 However, if the Malay and Indian swing back to UMNO-BN is strong, it will help MCA and Gerakan in the mixed seats where Malay voters account for higher than 40 percent and Indian voters are between 10-15 percent of the constituencies, such as Padang Serai and Gopeng. Many of the undecided voters will want to see who are the candidates being put up by the parties and how the campaign unfolds. A gaffe or a mistake can be very costly during the campaign period. The campaign can be a dirty campaign with a lot of personal attacks and accusations thrown by both sides. Surprises can be revealed during the campaign. Najib (right) will campaign from a position of strength. His popularity and personality and his hard work and tenacity can win him a lot of support. Obviously, he is more popular than his party. Najib’s proven track record in the transformation programmes and economic performance with the 6.4 percent GDP growth in the fourth quarter of 2012 stands him and the BN government in good stead. On the other hand, there is some urban dissatisfaction on the abuses of power, human rights violations, crime and corruption. In Sarawak, Chief Minister Abdul Taib Mahmud will deliver 100 percent of his PBB seats to the BN and hence secure the majority of Sarawak seats. However, the PRS and SPDP may lose a couple of Dayak seats to PKR. The SUPP will come under a strong challenge from DAP and could lose all its Chinese majority seats to DAP but win back Sibu with a new strong candidate and retain the Dayak majority seat of its deputy president Richard Riot, hence winning two out of its six parliamentary seats. 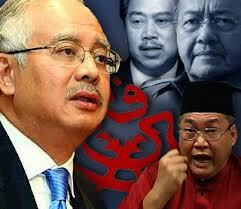 In Sabah, Sabah UMNO should be able to do well, leading the BN to regain control of the state government. Again DAP will win in several more Chinese-majority seats. In Peninsular Malaysia, the MCA seats that will hard fought are Gelang Patah, Kulai and Tanjung Piai in Johor and Lumut in Perak. These seats can be vulnerable. On the other hand, MCA has a good chance of winning back Padang Serai, Gopeng and Selayang should there be a strong Malay and Indian vote swing back to BN. In the state contests, Pakatan should retain Kelantan and Penang but will face a strong challenge from BN. In Penang, if the Malay swing is strong, UMNO may win 17 Malay seats and if MCA and Gerakan can win just four more seats, BN will narrowly regain Penang. The fight for Selangor will be the toughest and it is 50:50 for either side. BN should win Kedah and Perak where the Malay swing back to UMNO could help UMNO win back PKR and PAS state seats in Perak although the DAP will still likely hold on to all its Chinese-majority seats in Perak. In the final analysis, the BN will win the 13th general election. The only uncertainty remains in the size of the majority. From our analysis, BN is expected to win between 123 to 135 seats. This is the most likely outcome. However, if the Malay and Indian vote swing back to BN is very strong and Najib is able to bring back more undecided Chinese, BN can win up to 150 seats, which will restore the BN’s two-thirds majority. This outcome will be a difficult challenge. The third scenario is the BN retains about the same number of seats around 140, which it won in 2008. Nevertheless what can be certain is that the two big winners in the coming elections will be UMNO and DAP. What is also important to consider is the shape of the post-GE13 government. Will there be a new political realignment? Will UMNO seeks a new alliance with PAS for Malay and Muslim unity? How will this impact on the non-Malays and non-Muslims? Will the two big expected election winners UMNO and DAP seek a new political realignment?Nothing is impossible after the general election. After all, there are no permanent friends or permanent enemies in politics. These are the sort of post-election scenarios that need to be also considered. Dr. MICHAEL YEOH is Chief Executive Officer, Asian Strategy and Leadership Institute (ASLI) and Deputy Chairperson of the Centre for Public Policy Studies (CPPS). LIKE many happenings in the realm of national security, the ones often thought unlikely and even impossible to happen will. Old military hands had already learned this and will constantly remind themselves to expect the unexpected to occur, somehow. Long ago, the United States experienced Pearl Harbour and then the 9/11 attack. We had among others, things like the Al Maunah arms heist at our military camps, the two-person samurai sword attack in Putrajaya and now the incursion and entrenchment in Sabah of armed soldiers of the Sultanate of Sulu on Feb 12. All of these were mostly unexpected. Those in the business of defence and security are conscious of threats that can emanate from outside or from within the country. However, they can never predict and picture fully the actual and detailed form these threats can manifest themselves. These, therefore, can still surprise. We were surprised by the incursion of the soldiers and their demand for Sabah to be handed back to the Sultanate of Sulu or else they would fight — to the death if necessary. It was also some surprise to many as to the manner they made their demand, with more than 100 armed men, in Sabah, and, headed by a royal member from the sultanate. Not unexpectedly, many are questioning why they were able to land in the first place and why it is taking so long to evict or apprehend them, forcibly if need be. Understandable, questions from reasonable minds but since the operation and delicate process of urging them to leave is ongoing, it is best to let the authorities go about doing their job and wait for the complete answers to come once there is full closure of the matter. In the meantime, there is little need for worry or cause for alarm. Indications are that the authorities and Police are on top of the situation and are prepared for any eventuality. The Sulu soldiers are also reported to begin to lose their nerve and tiring fast. Even our military is close by and ready to come in if needed. It should not be too difficult for the security forces to end the standoff by use of force at all. We should, however, pray that this will not be necessary. 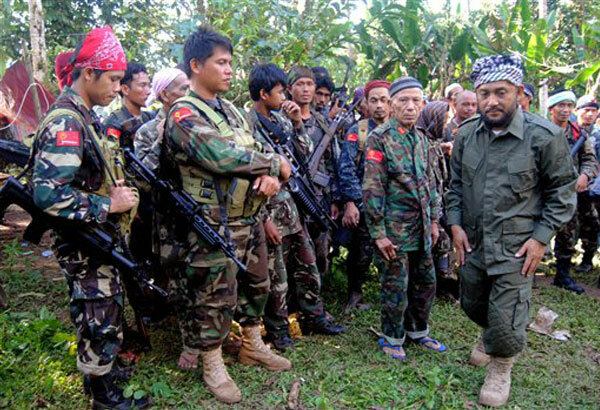 It would certainly affect and jeopardise the effort and our role as the facilitator towards getting the Moro Islamic Liberation Front and Manila peace accord finalised and the establishment of the Bangsamoro state in southern Philippines. 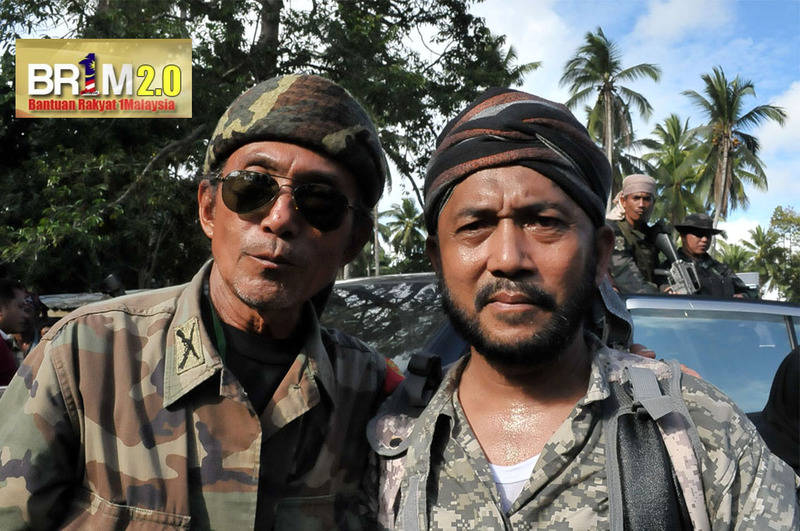 If force were to result in many casualties on the Sulu side, then Malaysia’s plans and prospects of helping and participating in the development in the land of the Moros will diminish. It cannot be easy when there are to be vengeful and angry people from within the population there. In any case, it is believed that they had not come intending to fight us or our security forces. That they came led and dressed in recognisable military uniforms with clear insignias is not to appear intimidating but to be identified as a bona fide and organised military body and not terrorists or common criminals. A recognition that would entitle them to be regarded and treated under all the provisions of the international law on land warfare and the Geneva Convention as military combatants. A status they could nevertheless lose if they were to make monetary or other material demands over what has already been stated. This must have been clear to our authorities and that probably explains the present strategy of urging them to leave peacefully and not giving in to any inappropriate demand, being the most appropriate option to pursue. Avoid the shooting part at all costs for it will never ever end in that part of the world and not with the Moros. Posted in ASEAN, civil society issues, Defence, Diplomacy, Elections, military affairs, Philosophy, Poetry. Pakatan Rakyat has drawn up many bold and far-reaching promises in its manifesto, which has the potential of transforming Malaysia at its very core. However, the document – dubbed as ‘The People’s Pact, The People’s Hope’ manifesto – does contain some glaring omissions, which made it inconsistent with the coalition’s policies. The BN government has been playing around with the idea of implementing the goods and services tax (GST) since the Abdullah Ahmad Badawi administration. 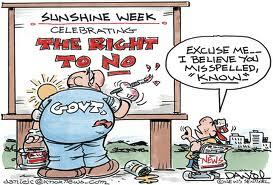 And although the necessary law has since been tabled in 2009, all the signs are pointing to a post-general election implementation. The Najib Abdul Razak administration, however, had argued that the GST is essential to help sustain the debt-laden federal government, and in widening the tax base beyond the present crop of 1.7 million taxpayers. Pakatan was opposed to the idea, with PKR de facto leader Anwar Ibrahim stressing that the new tax will burden the lower-income group. 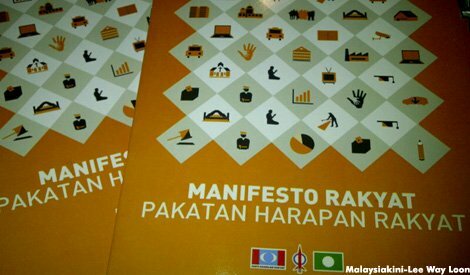 However, there is no mention of any move to scrap the proposed Goods and Services Bill in the Pakatan Rakyat manifesto. Most of the nation’s minority groups, from Orang Asli to the indigenous people of Sabah and Sarawak, received considerable mentions in Pakatan’s manifesto, with the exceptions of the Indian and disabled communities, who had been left out. The Hindu Rights Action Force (Hindraf) has long highlighted the main problems that are faced by the Indian community – such as obtaining equal economic opportunities and land concessions for the construction of Tamil schools – that has so far not been resolved during Pakatan’s reign in the Penang and Selangor states. It has also been considered strange that Pakatan did not outline its policies for the disabled community. In Selangor and Penang, the state government had ensured that there was representation from the disabled community in the local government bodies to formulate policies for barrier-free access. Local government elections were suspended in 1964, and since then, DAP has been actively championing the restoration of the elections which it argued would bring about greater efficiency and transparency to the operations of local authorities. Last year, the DAP-led Penang government passed a law which was designed to allow such elections, but the Election Commission (EC) had decided not to comply. The matter is expected to be brought to court soon. That was as close as DAP has gotten thus far. But judging from Pakatan’s manifesto, which makes no mention of the matter, they might not get much further even if Pakatan takes over Putrajaya. It is widely believed that PAS and PKR are not in favour of the idea, and are comfortable with the present system of having political appointees in the running of local government bodies. In many modern democracies, public access to government documents is a right. Both Selangor and Penang have passed the necessary laws meant to facilitate this service, but in truth, the mechanism for such a service has yet to be in place. 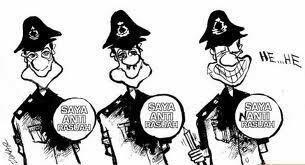 Perhaps the fact that the laws are currently still window-dressing for both the Selangor and Penang administrations, resulted in this policy being left out of Pakatan’s manifesto. On the other hand, BN has been noted to be opposed to such measures. Pakatan has been hounding the BN leaders who hold public office to declare their assets, but the former had not pledged to do so in their manifesto. However, the coalition has implemented this system for the state cabinet members in Selangor and Penang, whereas the Kedah and Kelantan states had chosen not to follow suit.